I think that title means "HO scale buffers". Thinking ahead, I thought I'd better order some French-style buffers to instal on my test layout. 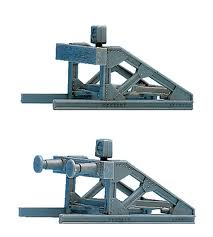 Since I envisage this test layout as being in a country setting as opposed to the cityscape of the finished layout, I ordered buffers of a primitive construction viz with a plain, horizontal wooden beam as opposed to the hydraulic stoppers that one would see in a mainline station. I've gone for the ROCO version and had to order them from a French supplier. 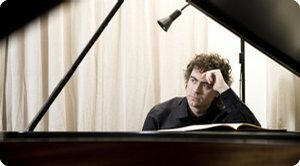 No Ceramics class tonight - off to see Paul Lewis playing an all-Schubert programme in Perth. Have seen Paul Lewis twice before - I like his on-stage demeanour. Paul Lewis tells a story on his website about the famous volcanic ash clouds from Iceland that brought the world's airlines to their knees a few years ago. At the time, he was stuck in Bologna wanting to get to the USA but flights were in chaos. He had the idea that there might be a flight to Iceland itself since the ash was belching forth at an angle away from the airport in Reykjavik. There was such a flight and he got to the USA on time for his concert.